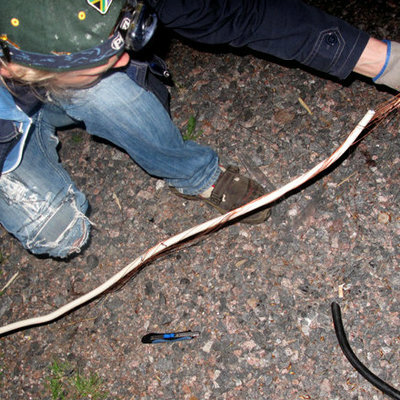 As part of the Waste/d theme of Pixelversity 2013 programme, Pixelache arranges a handful of expedition visits to different waste-management sites, mostly in Helsinki metropolitan region. 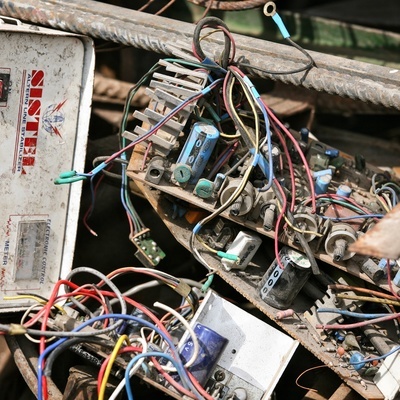 We endeavor to learn about our material wastage which we typically contribute as part of everyday urban life, but rarely see again in its collective form. The first expedition of the year on Friday afternoon 15.3. takes an especially innovative angle, visiting the ZenRobotics Recycler (ZRR) installation on Viikintie, North-west Helsinki. 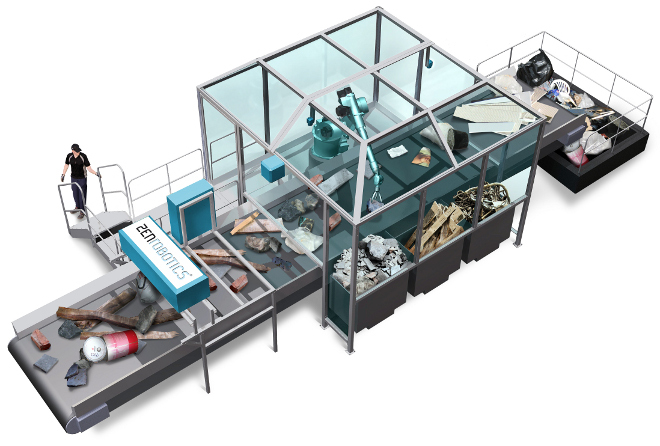 The first robotic waste sorting system in the world, it is currently designed for construction and demolition waste, reclaiming valuable raw materials - metal, wood & stone - with the help of advanced machine-learning technology. 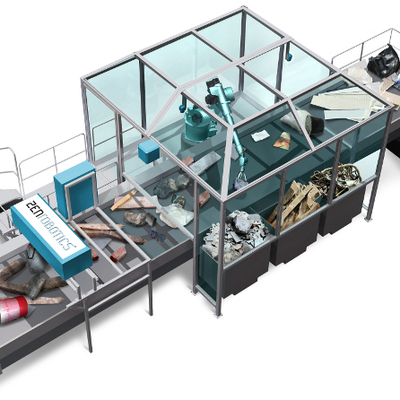 Helsinki-based ZenRobotics Ltd. present themselves as the world-leader in robotic recycling systems, bringing articifical intelligence and high technology to waste management. The company’s main product is ZenRobotics Recycler. VP R&D Mika Raento will lead the expedition with explanation on-site from 14.00-16.00. See below for details. Transport will be provided by Zen Robotics, leaving from their city centre office (Vilhonkatu 5 A) at 13.30, to meet at Hernepellonkuja 1 for 14.00 (you can meet us there is you wish). The installation allows only 10 persons attending at any time. If more than 10 wish to attend, we will split the group into two, one following the other. Expedition is offered without cost, but please sign up with your name & affiliation/organisation/institution/company and contact info before 8.3. Please note, photo or video documentation of ZRR is not allowed in this expedition (there is instead much footage online already that can be used), although you can talk and write about the experience. Indeed, Pixelache seeks Tumblr quotes on our Waste Log. 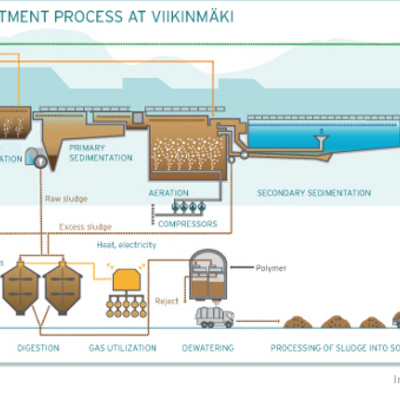 Julkaisu: Copper-scavaging waste expedition with ORE.E Refineries 30.8. 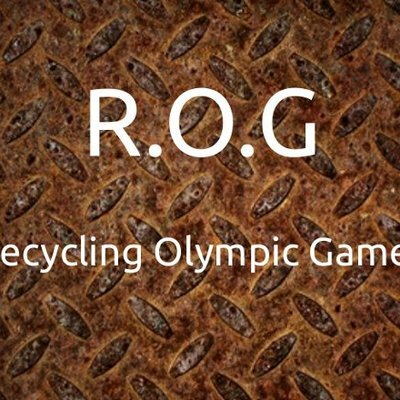 Julkaisu: Call for the Recycling Olympic Games! 6.-12.5.